In great conition. I have 3 pieces for sale. 1000r for all. 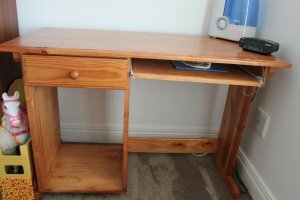 Second Hand Study desk for sale. Wooden with steel frame. Strong and really heavy.